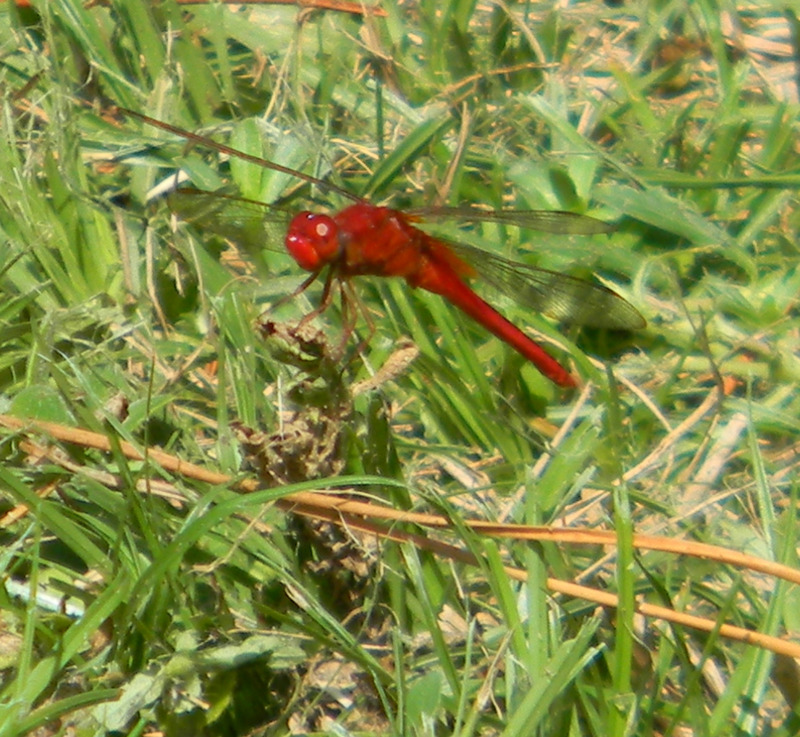 I have spotted several different types of dragonflies in my yard recently. 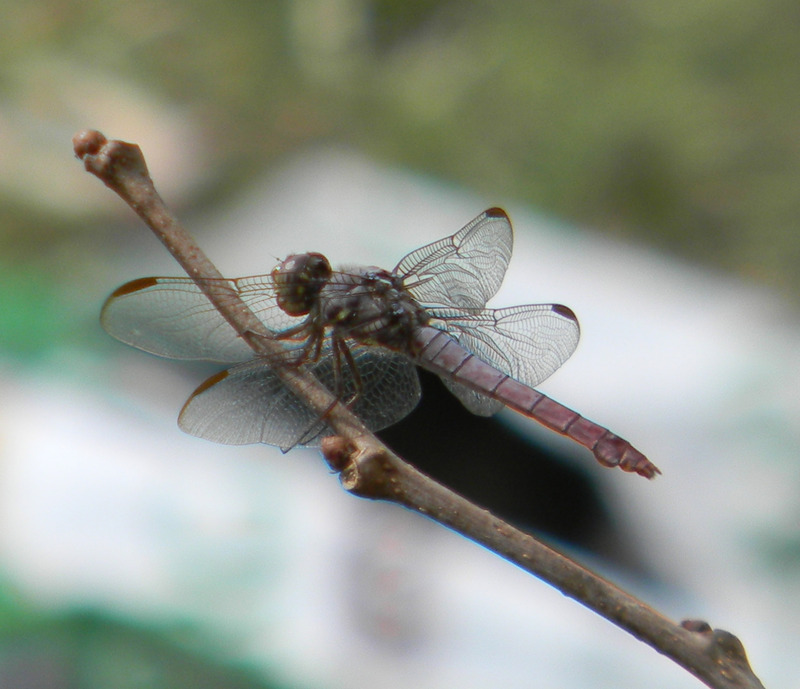 I believe I have even spotted the libellula-jesseana, purple dragonfly. I looked this up and it is says they are a threatened species, I had no idea. 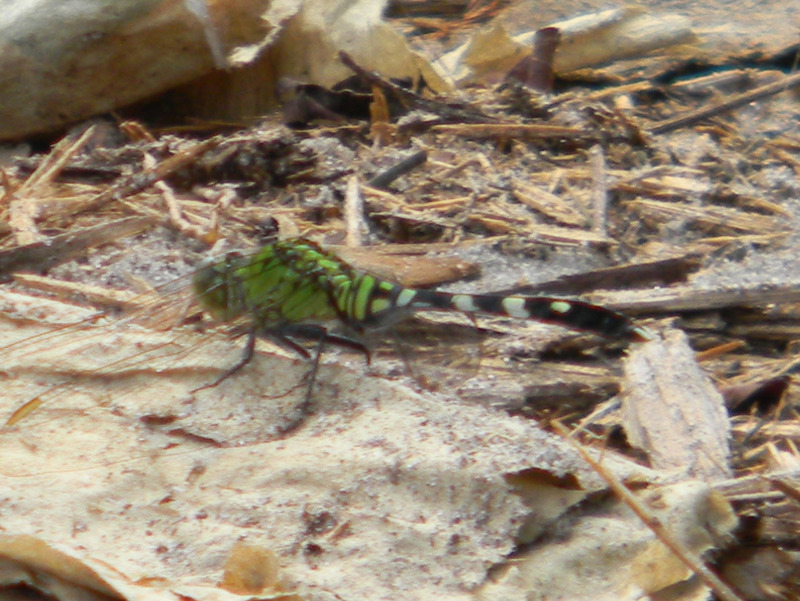 This dragonfly is an Eastern Pondhawk. Interesting information, this is either a female or an immature male. Adult males are blue. I saw one of those today but didn’t get a picture. I believe this to be a Scarlet Darter. Damselfies are so beautiful and delicate. 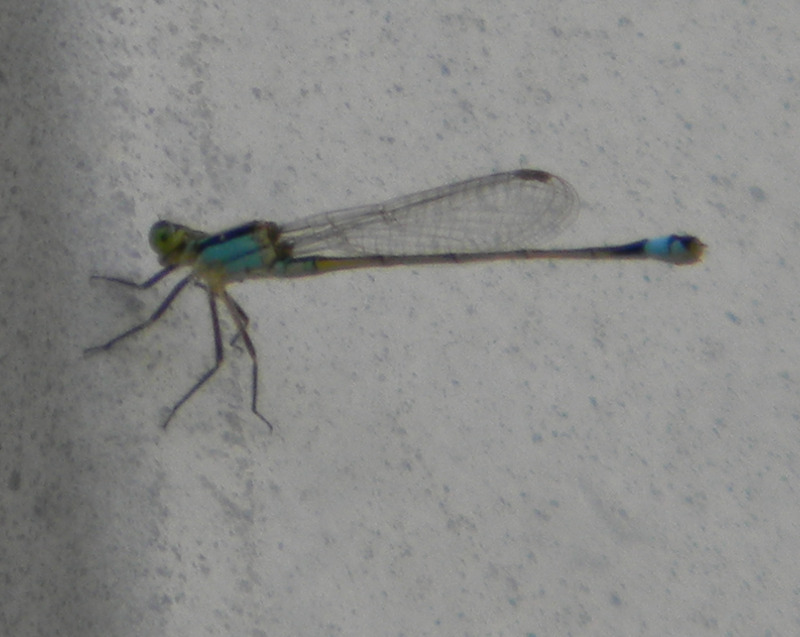 This one is a blue tailed damselfly. 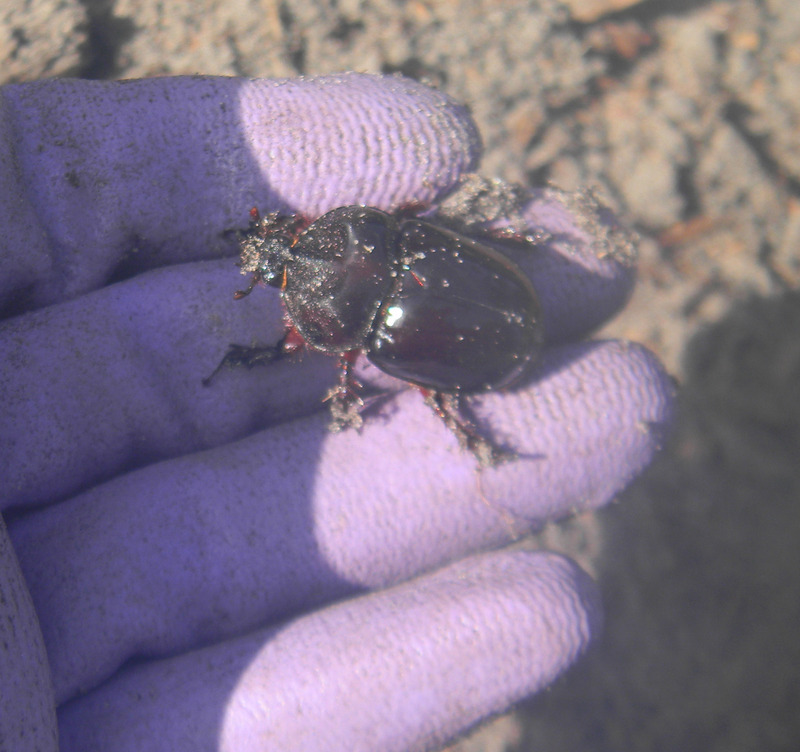 There have been several rhinoceros beetles lumbering around the yard recently. This must be the time of year they reach the adult status. Its hard to believe these beetles come from a pupae. 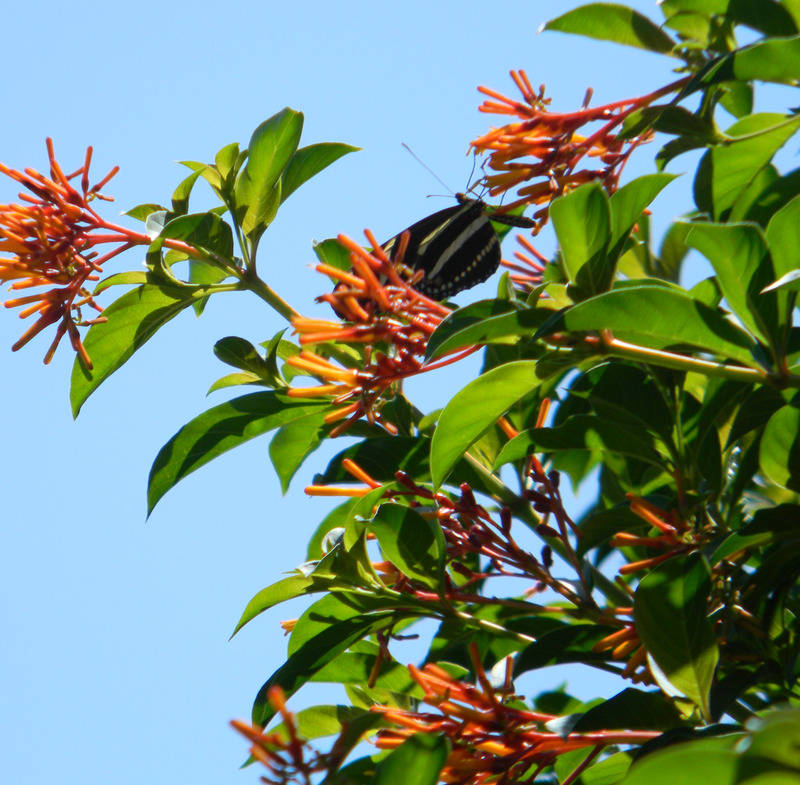 And one of my favorites a Zebra Long Wing Butterfly, Florida’s state butterfly. Here are a couple of great websites for identifying dragonflies and damselflies. 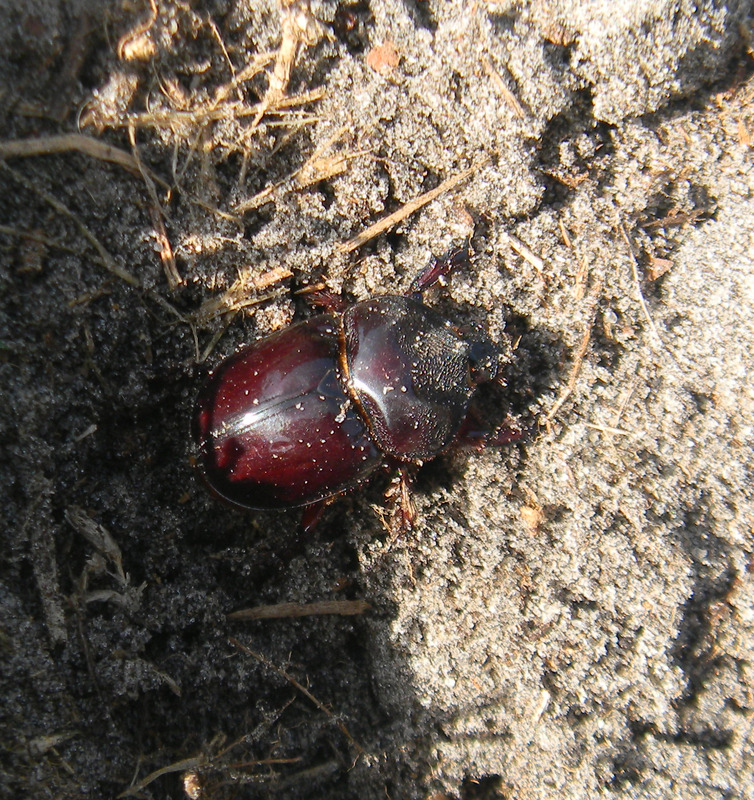 This entry was posted in Posts and tagged damselflies, dragonflies, gardening, rhinoceros beetles. Bookmark the permalink. Awesome Keo! What gorgeous creatures those dragon flies. 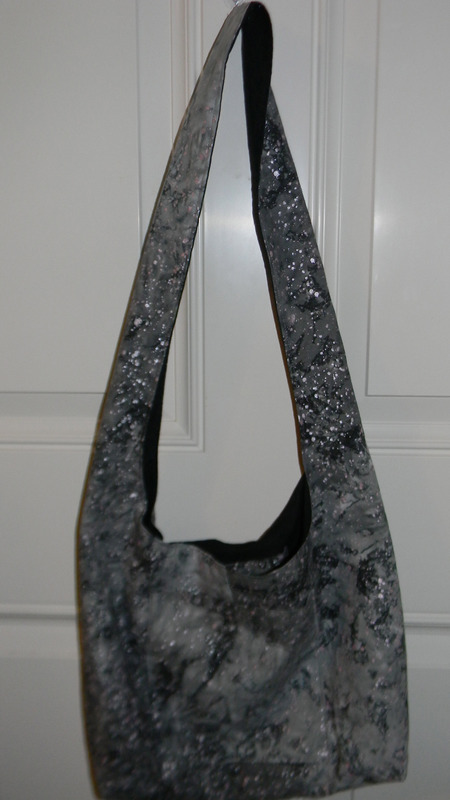 I find them so amazing!